I love long lashes, always have and I always will. There is just something about them thay I can't seem to get enough of which is why if I had the choice to only own one makeup product it would probably be mascara. Being such a mascara lover I have experimented with many different types of many different brands and right now I'm loving the Yardley London Volume Lash Mascara. 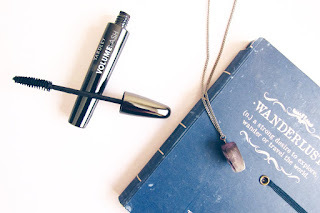 It is exactly what I want in a mascara, I am starting to consider it as my little magic wand. What I love the most about this mascara is how natural looking it is. It creates long and full lashes without going overboard but it is has a thick and dramatic feel to it. If you are looking for something that really pops out this product may not be for you. The best part is that it doesn't clump or flake which is something I absolutely cannot stand when it comes to mascara. The packaging is your basic black but I love the brush, it separates the lashes while adding volume. Now doesn't that sound like magic? 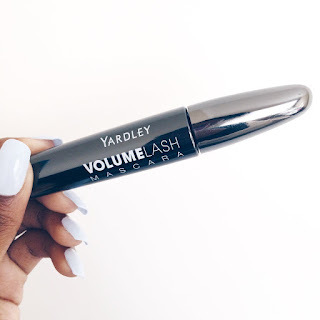 I am overall happy with the Yardley London Volume Lash and it is available for only R99, 95 ( £5 | $7) . Definitely great quality for the price! Have you tried the Yardley London Volume Lash Mascara?